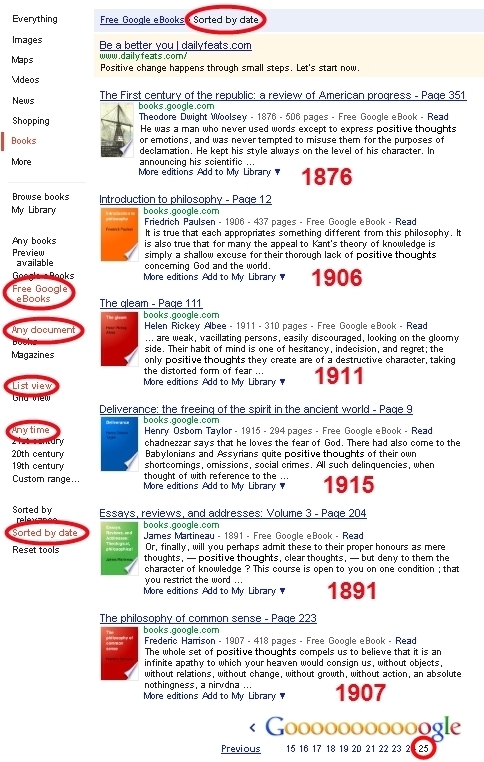 Why Can’t Google Books Sort By Date? That’s the final page of results. Sort By Date should go from latest to earliest date (there’s no sort order option, either!). And it clearly doesn’t. How hard can such a basic function be?